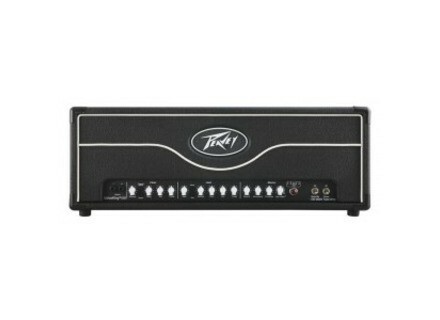 ValveKing 100 Head MkII, Tube Guitar Amp Head from Peavey in the ValveKing series. Peavey announces the availability of the new generation of ValveKing guitar amps, a series that was introduced in January at NAMM. 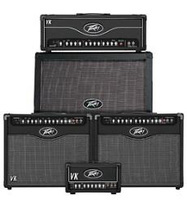 The Peavey ValveKing 2014 edition now features two 20W and 50W combos, two Micro and 100W heads as well as the 412 and 112 cabinets, the latter remain unchanged. This new generation offers new modern functionality while retaining the “Boutique” sounds of the first versions. You will now find a USB port for direct recording to a computer and an XLR MDSI (Microphone Simulated Direct Interface) interface to connect the amp directly to a mixer or a recorder without having to mike the amp. All the amps also include a TSI indicator that monitors the valve health and thanks to the proprietary Vari-Class knob, you can change the behavior of the power amp (variable Class A or A/B simulation). A three-way power switch is also present for those who need to adjust the output to the playing situations. Buffered effect loop, EQ on each of the two footswitchable channels, reverb, speaker output with impedance switch and ground lift, as well as a footswitchable volume/gain boost are also present on each model. The ValveKing 20W Combo is equipped with two EL84 and three 12AX7 tubes and you can choose between 20W, 5W and 1W of power. The ValveKing 50W Combo uses three 12AX7 and two 6L6GC valves, and the available powers are 50W, 12W and 2W. The ValveKing Micro-Head is a compact 20W head that hosts two EL84 and three 12AX7 valves. The ValveKing 100W Head provides 100W, 25W or 5W and features four 6L6GC and three 12AX7 valves. 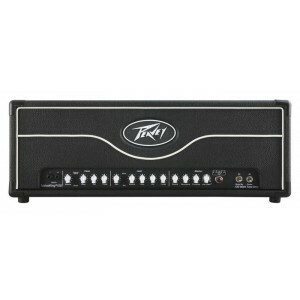 Discover the new ValveKing Series at www.peavey.com. FX Amplification launches its first effect pedal French manufacturer FX Amplification introduces Bi Boost, its very first effect pedal for guitar. TC Electronic offers artist loops TC Electronic launched a special page where you can download music loops created by artists with its Ditto loopers. Maxon boosts its OD808 Overdrive Maxon unveils via a video the prototype of the next generation of its OD808 overdrive pedal.